This "Special Offers" section of our website is where you can grab a real bargain! This is where we will offer end of line products, returned items or ex showroom models from us & our sister company, The Radiator Factory Ltd. Occasionally we may help leading manufacturers that we import from move their Clearance items etc. 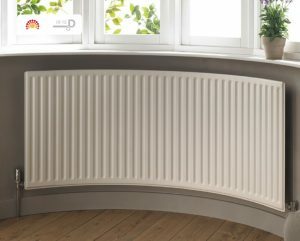 Always check the description or call us on 0116 2609257 for more details before purchasing if you are unsure which category your radiator bargain belongs. Look out for some Brand New Boxed items coming soon in Early 2017 from Leading European Brands, Cordivari, Vasco, Faral, Bisque, Kermi, MHS & more! Bridge embodies the concept of archaeological industrial production of objects for popular use in a modern key and in a timeless mythmaking context. 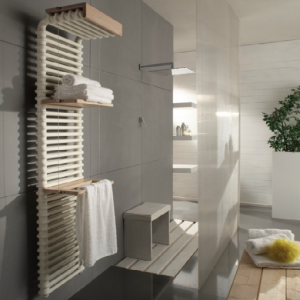 It is a versatile radiator that in addition to fulfilling its function of high efficiency heating, becomes a multi-purpose piece of furniture of high quality with handles and shelves made of whitened oak. The recovery of industrial moulds already in use means economics and energy saving with the consequent inclusion of the Bridge in the field of sustainable production and ecodesign. The Badge is surrounded by a warm lighting hug, giving new relaxing energies feelings. The radiators main goal is to satisfy more senses, thanks to the heat and the colour it produces. Home is becoming so more comfortable and personal. 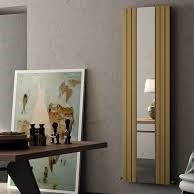 Heating system and interior design are meeting each other and symbolize the Rosy mirror. 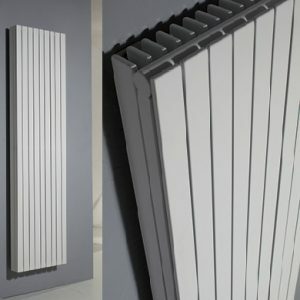 The new single column radiator which contains the brightness of the mirror as well has the linear style of the heating elements. Introducing the Cordivari Movie designed by Mariano Moroni. The Movie draws inspiration from the cinema as origin of visual communication. It consits of a painted carbon steel plate and gets over radiators’ traditional image to become a friendly object and symbol of human life. 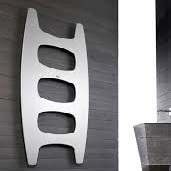 a number of stylish alternative finishes, with an optional towel rail. 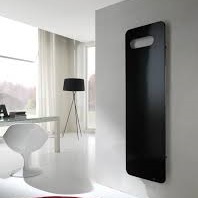 This bold aluminium radiator makes a statement in any modern interior. 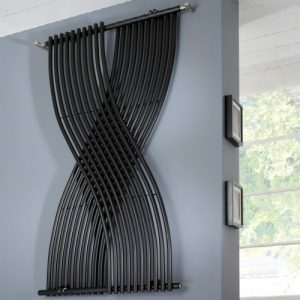 The Gemini radiator is a contemporary crossover style tube on tube steel radiator. 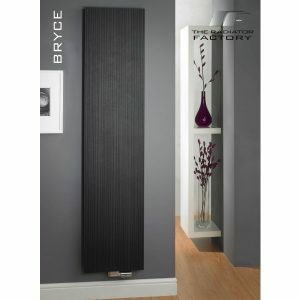 Available in Textured Anthracite and Chrome, it is a simply stunning addition to any room.